Carolyn Kay McGraw is a dynamic Speaker, Coach and Healing Practitioner. She has been featured as a guest expert in magazines, radio, TV and also is the host of her own TV show called, “Life on Purpose”. Carolyn is known as a “Soul Whisperer” for her intuitive ability to tune into the wisdom of the heart. Healing Arts is her passion as she loves to teach others a short-cut to optimize their own well-being. 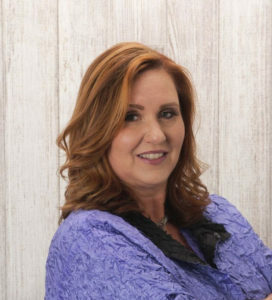 With her training in Hypnotherapy and Energy Medicine she is an expert at helping others release their physical and emotional pain at the cellular level helping them to live a more heart-centered life. She specializes in mentoring teens and families. With a Master’s Degree in Education and a twenty year career as a classroom teacher, Carolyn has transformed the lives of hundreds of children through her innovative curriculum called, “Healing Hearts through Language Arts.” She has had phenomenal success in using Poetry Therapy with high school drop-outs out of jail and gangs who have gone on to become authors and performers on TV. She is Founder of Poetic Ascension, a mentoring and performance team healing emotional wounds through writing and speaking. In addition to being a published Poet, Carolyn is also a board member of “Keynote Poets of Sacramento”.